Unfortunately we cannot accept any orders at the moment. Thank you very much for your understanding. 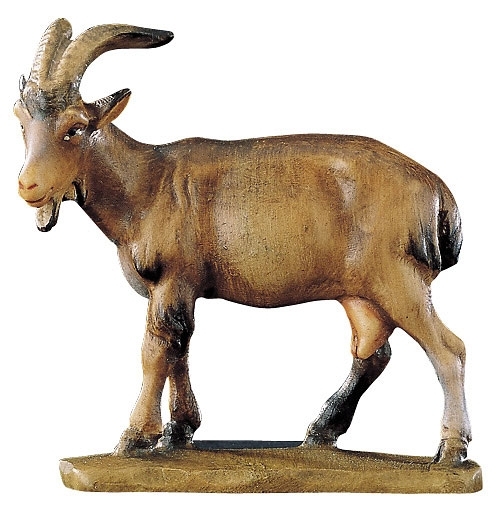 Product information "Goat - Head to left"
This Nativity figure is made by Bernardi Woodart. Bernardi is located in South Tyrol / Val Gardena and looks back on a long tradition of handmade wooden figurines. 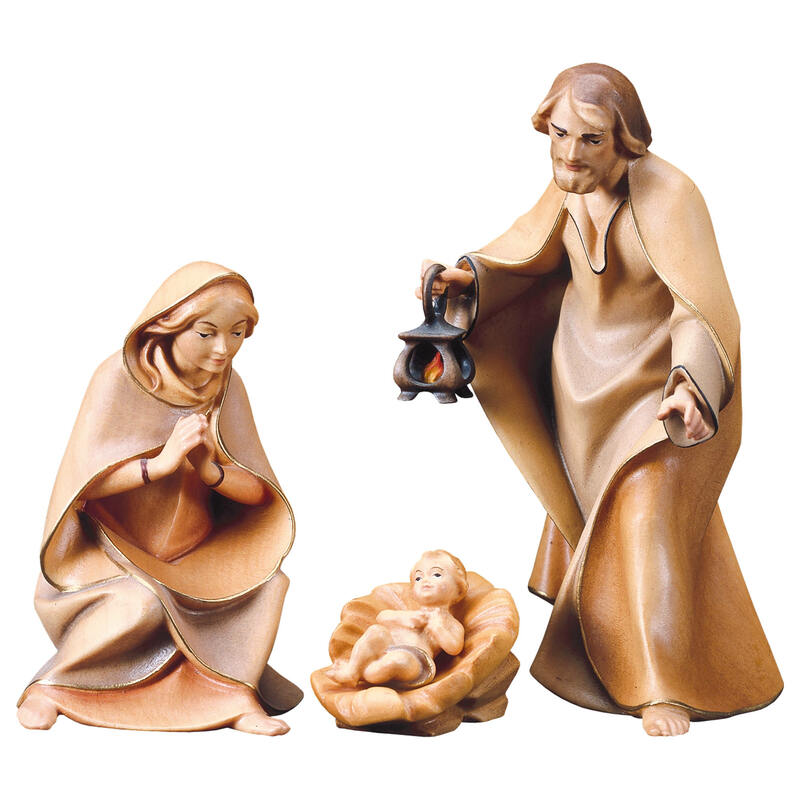 This figurine is part of the DeKos Nativity scene. Nativity figurines have a certain size scale. The size scale is measured in cm. The size scale shown on the website is the actual size of a standing human being of this series. Most of nativtiy scenes have a standing Joseph figurine that has this actual size in cm. All other figurines are crafted according to this scale. Meaning that a sheep is much smaller although it has the size/scale of 10cm. A carved camel on the other hand with a size scale of 10cm is larger than 10cm. The scale ensures that the figurines all together create a 100% realistic scene. Also the stables are crafted with a certain scale. 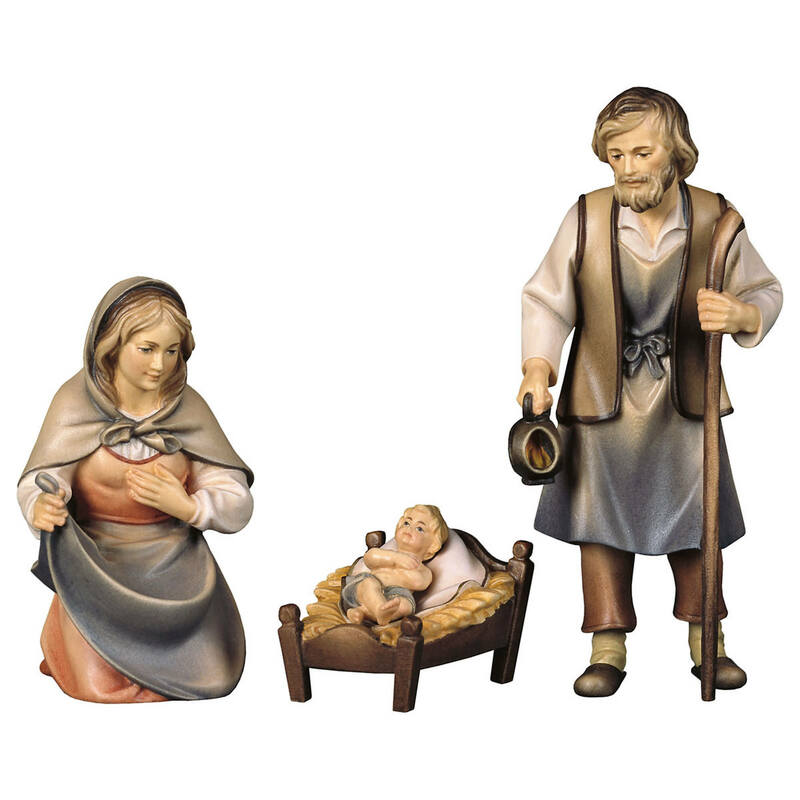 The nativity figurines are available with different finishes and colours. 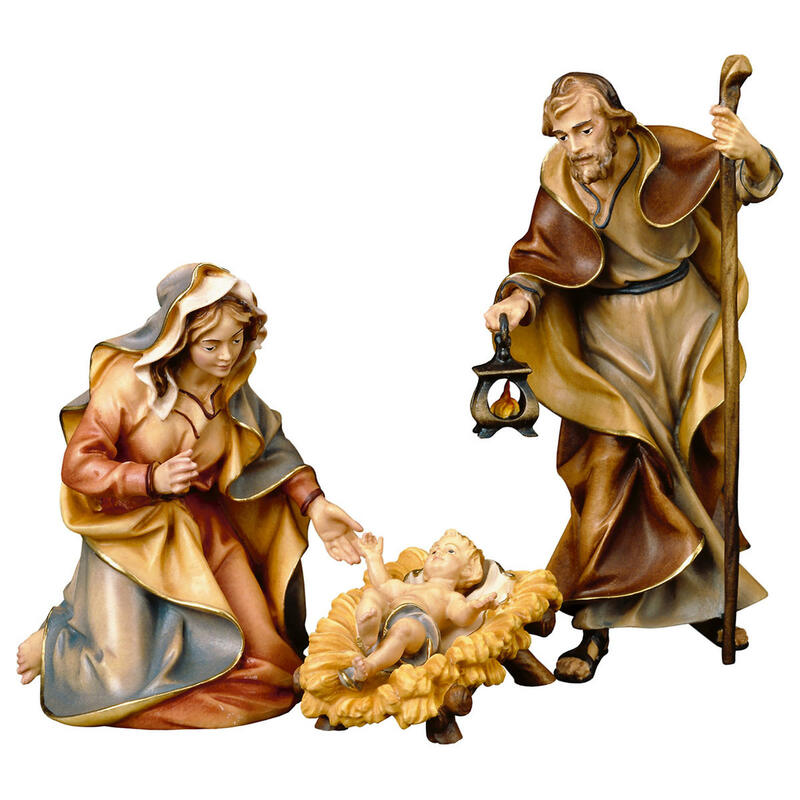 Most pictures of nativity scenes on the website show the multicolour finishes, but most series are available in several different finishes. The finish "natural" means that the the natural wood is without any finish as it comes out of the carvers hands. Multicolored mangar figurines are painted with oil colors by hand. Depending on the nativity set more or less intensive colors are used. 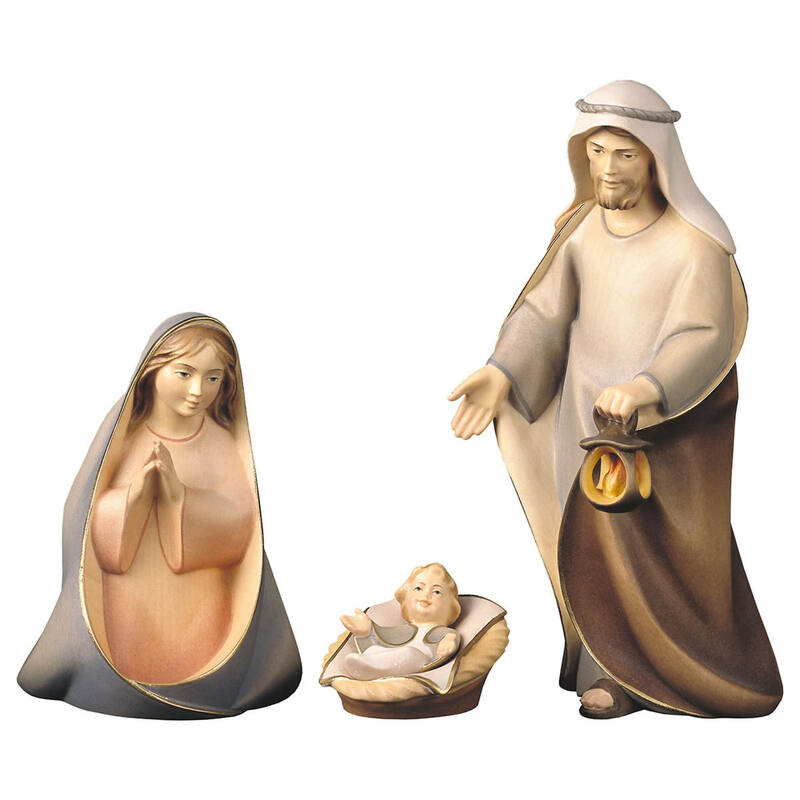 Some nativity sets we offer are available with stained and multiple stained finishes. Stained figurines also receive are wax finish. and have a browner colour than regular natural wood figurines. Multiple staining creates several different brown shades. "Goat - Head to left"
Customer evaluation for "Goat - Head to left"